Miles Beyond is a young traditional power metal band from Flint, Michigan. Playing a style of power metal that blends the dual-guitar harmonies influenced by Iron Maiden with the aggressive melodies of bands like Iced Earth, the band's self-titled debut is a refreshing indicator that quality metal is alive and well in the good ol' U.S. of A. Miles Beyond caught my attention from the first listen, and even after a dozen or more spins I find the 12 tracks to be just as enjoyable as the first time around. I'll say it right here at the front of the review, Miles Beyond play heavy metal the way heavy metal was meant to be played. Though the band has been together for just over 2 years, these guys sound like they've been playing together for a decade. The most prominent feature of the band's sound is the tandem guitar leads of Tim Moody and Paul Owsinski. These guys are in sync every step of the way, giving each song a distinctive feel with a multitude of unique riffs and licks. The solos are nearly epic in length, but never stray from the overall vibe of the song or detract in any way. I could provide example upon example of the skills put on display by these two axeslingers, but there is so much more to Miles Beyond - a remarkably multi-dimensional band. In the vocal department, for example, Tim Moody manages to kick out the riffs while delivering the lyrics in a voice that exemplifies the classic metal sound. Most often resembling the distinctive voice of Bruce Dickinson (Iron Maiden), I can also hear similarities to Sean Peck (Cage) in Tim's style. His vocal execution is flawless, expelling the lyrics not only with passion and power but with conviction and creativeness. The rhythm section of Larry Moody (bass) and Tod Fisher (drums) also contributes significantly to the band's sound. The bass lines are often complex, and at times (such as the openings of the title track and "Vlad the Impaler") are at the forefront of the songs. The same can be said for Tod's skinwork, particularly on "Crazy Horse" and "Take Me Back Home". I had a very difficult time with this review because there is simply so much on the album to write about. Each and every song contains something that is an integral component of the overall quality of the disc. While the majority of the tracks are over the 5-minute mark, not a single one feels as if it's dragging or plodding. The album flows very smoothly, which is quite an accomplishment given the band's short history. There is one final aspect that I'd like to touch on before wrapping this up, and that is the songwriting itself. Tim Moody and Paul Owsinski are the primary composers and they have done a fantastic job. The lyrics are well-written and frequently, in the tradition of Iron Maiden, deal with a variety of historical subject matters ("Vlad the Impaler" and "Crazy Horse", for example) in a way that is both informative and creative. 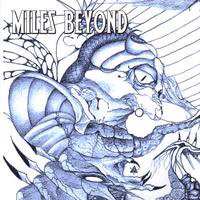 To sum up - Miles Beyond is an album that all fans of true heavy metal will eagerly devour. If you long for NWOBHM-influenced power metal, then these guys are what you're looking for as well. I confidently rank this as one of my personal Top Ten albums of 2004.